The mitochondrial sheath is composed of mitochondria that coil tightly around the midpiece of sperm flagellum. These mitochondria are recruited from the cytoplasm to the flagellum late in spermatogenesis. Initially, recruited mitochondria are spherical-shaped but then elongate laterally to become crescent-like in shape. Subsequently, crescent-like mitochondria elongate continuously to coil tightly around the flagellum. Recently, disorganization of the mitochondrial sheath was reported in Glycerol kinase 2 (Gk2) disrupted mice. To analyze the disorganization of the mitochondrial sheath further, we generated Gk2-deficient mice using the CRISPR/Cas9 system and observed sperm mitochondria in testis using a freeze-fracture method with scanning electron microscopy. Gk2-disrupted spermatids show abnormal localization of crescent-like mitochondria, in spite of the initial proper alignment of spherical mitochondria around the flagellum, which causes abnormal mitochondrial sheath formation leading to exposure of the outer dense fibers. 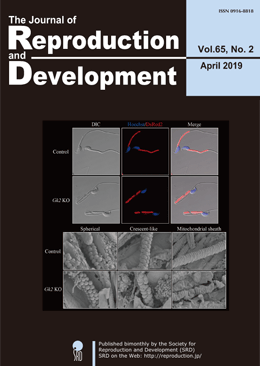 These results indicate that GK2 is essential for proper arrangement of crescent-like mitochondria to form the mitochondrial sheath during mouse spermatogenesis. The mitochondrial sheath is composed of mitochondria that coil tightly around the midpiece of the sperm flagellum. Mitochondria are recruited from the cytoplasm to the flagellum late in spermatogenesis. Recruited mitochondria are initially spherical, but then elongate laterally to become crescent-like in shape. Subsequently, these crescent-like mitochondria elongate continuously to coil tightly around the flagellum. Mitochondrial sheath development in glycerol kinase 2 (Gk2)-disrupted mice, which show abnormal mitochondrial sheath formation, was observed using freeze-fracturing coupled with scanning electron microscopy (Shimada et al., Glycerol kinase 2 is essential for proper arrangement of crescent-like mitochondria to form the mitochondrial sheath during mouse spermatogenesis, pp. 155–162). Gk2-disrupted spermatids show abnormal localization of crescent-like mitochondria, despite initially exhibiting proper alignment of spherical mitochondria around the flagellum. These results indicate that GK2 is essential for proper arrangement of crescent-like mitochondria during mitochondrial sheath formation in mouse spermatogenesis. Mammalian oocyte quality degrades over time after ovulation in vitro, which can cause fatal defects such as chromosomal aneuploidy. As various oocyte manipulations employed in assisted reproductive technology are time consuming, post-ovulatory aging is a serious problem to overcome in reproductive medicine or ova research. In this study, we investigated the effects of postovulatory aging on the incidence of chromosome aneuploidy during meiosis II, with a focus on the expression of functional proteins from the spindle assembly checkpoint (SAC). Chromosome analysis was used to assess the rate of aneuploidy in in vitro aged oocytes, or in early embryos derived from aged oocytes. Immunofluorescent staining was used to detect the localization of MAD2, which is a SAC signal that monitors the correct segregation of sister chromatids. Immunoblotting was used to quantify cohesin subunits, which are adhesion factors connecting sister chromatids at the metaphase II (MII) centromere. It was shown that post-ovulatory oocyte aging inhibits MAD2 localization to the sister kinetochore. Furthermore, oocyte aging prevented cohesin subunits from being maintained or degraded at the appropriate time. These data suggest that the destabilization of SAC signaling causes sister chromatid segregation errors in MII oocytes, and consequently increases the incidence of aneuploidy in early embryos. Our findings have provided distinct evidence that the post-ovulatory aging of oocytes might also be a risk factor for aneuploidy, irrespective of maternal age. 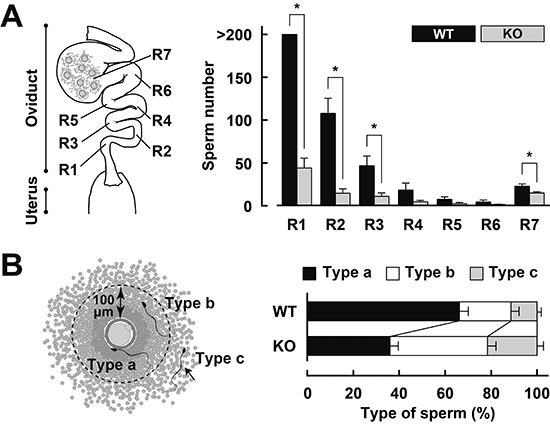 Mammalian oocyte quality degrades over time after in vitro ovulation. As various oocyte manipulations employed in assisted reproductive technology are time consuming, post-ovulatory aging is a serious problem in reproductive medicine and ova research. Shimoi et al. investigated the effects of post-ovulatory aging on the incidence of chromosomal aneuploidy during meiosis II (MII), with a focus on the expression of functional proteins from the spindle assembly checkpoint (SAC) (Shimoi G et al. : Destabilization of spindle assembly checkpoint causes aneuploidy during meiosis II in murine post-ovulatory aged oocytes. pp. 57–66). This study showed that post-ovulatory oocyte aging inhibits MAD2 localization to the sister kinetochore. Furthermore, oocyte aging prevented cohesin subunits from being appropriately maintained or degraded. 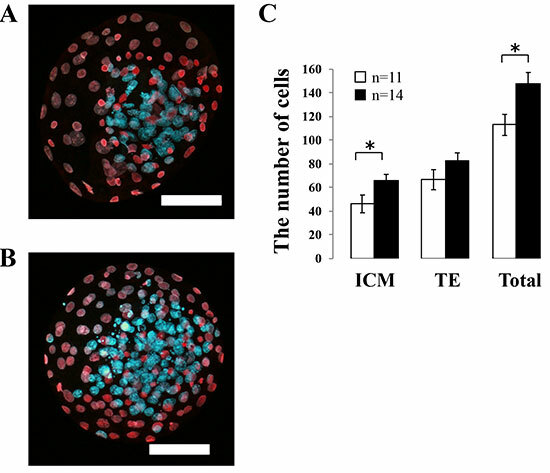 These results suggest that destabilization of SAC signaling causes sister chromatid segregation errors in MII oocytes and consequently increases the incidence of aneuploidy in early embryos. Kisspeptin, identified as a natural ligand of GPR54 in 2001, is now considered as a master regulator of puberty and subsequent reproductive functions in mammals. Our previous studies using Kiss1 knockout (KO) rats clearly demonstrated the indispensable role of kisspeptin in gonadotropin-releasing hormone (GnRH)/gonadotropin secretion. In addition, behavioral analyses of Kiss1 KO rats revealed an organizational effect of kisspeptin on neural circuits controlling sexual behaviors. Our studies using transgenic mice carrying a region-specific Kiss1 enhancer-driven reporter gene provided a clue as to the mechanism by which estrogen regulates Kiss1 expression in hypothalamic kisspeptin neurons. Analyses of Kiss1 expression and gonadotropin secretion during the pubertal transition shed light on the mechanism triggering GnRH/gonadotropin secretion at the onset of puberty in rats. Here, we summarize data obtained from the aforementioned studies and revisit the physiological roles of kisspeptin in the mechanism underlying reproductive functions in mammals. The review article by Uenoyama et al. describes the roles of hypothalamic kisspeptin in the central mechanism regulating puberty and subsequent reproductive functions in mammals. The schematic illustration shows a possible mechanism regulating the pubertal augmentation of Kiss1 expression in the arcuate nucleus (ARC) to trigger pulsatile GnRH/gonadotropin secretion in rodents. The authors suspect that estrogen strongly suppresses ARC Kiss1 expression during the prepubertal period via direct and indirect pathways and that the sensitivity to estrogen negative feedback action on ARC Kiss1 expression decreases during the pubertal transition. The resultant increase in secretion of kisspeptin would trigger GnRH/gonadotropin secretion at pubertal onset (Uenoyama et al. 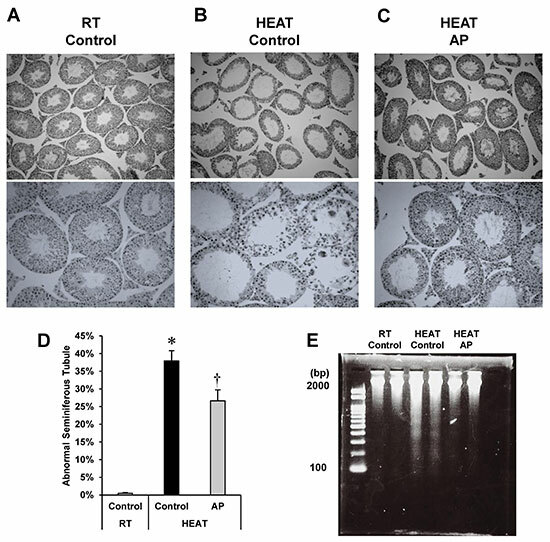 The role of kisspeptin in the mechanism underlying reproductive function in mammals. pp. 469–476).